NEW YORK (AP) — New York City Mayor Bill de Blasio has signed an executive order immediately ending the city's purchase of unnecessary single use plastic food ware. 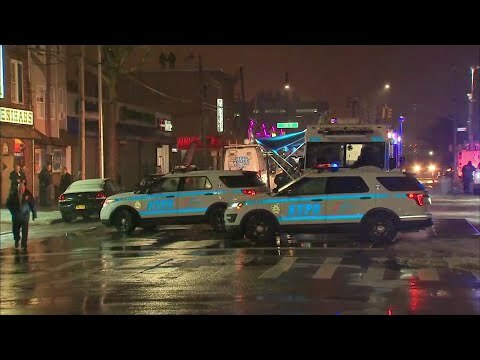 NEW YORK (AP) — New York City Mayor Bill de Blasio says they're investigating the glitch that disrupted the city's wireless system and traffic lights at 13,000 intersections. NEW YORK (AP) — The speaker of the New York City Council is calling for the city to take control of all of the city's mass transportation systems under an ambitious proposal. NEW YORK (AP) — New York City Mayor Bill de Blasio says a record number of city students took Advanced Placement exams during the 2018 school year. NEW YORK (AP) — The New York City Council has passed legislation aimed at providing stronger work protections for privately-employed trash collectors. NEW YORK (AP) — States across the Northeast are preparing for a snowstorm that could disrupt Monday morning commutes. 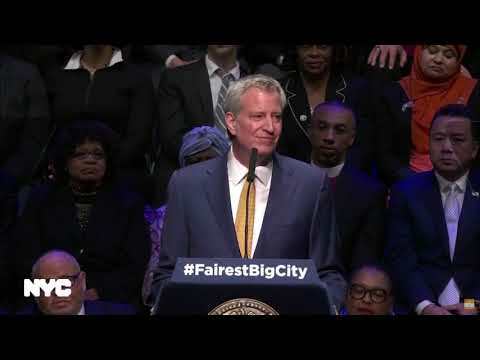 SIOUX CITY, Iowa (AP) — New York City Mayor Bill de Blasio is telling Democrats in Iowa that he has not ruled out a run for president. NEW YORK (AP) — New York City Mayor Bill de Blasio says he was happy to be a "citizen patrol" when he directed his police detail to pull over a texting driver. NEW YORK (AP) — Amazon abruptly dropped plans Thursday for a big new headquarters in New York that would have brought 25,000 jobs to the city, reversing course after politicians and activists objected to the nearly $3 billion in incentives promised to what is already one of the world's richest, most powerful companies. "We are disappointed to have reached this conclusion — we love New York," the online giant from Seattle said in a blog post announcing its withdrawal. ALBANY, N.Y. (AP) — It was "mission critical" for New York City to land one of Amazon's second headquarters and the tens of thousands of jobs the company promises to create, Mayor Bill de Blasio said Monday, just days after a report said the company was having second thoughts because of opposition from some influential local politicians. NEW YORK (AP) — Handlers for Staten Island Chuck say the furry forecaster didn't see his shadow so New Yorkers are in for an early spring. City Council Speaker Corey Johnson presided over Saturday's ceremony at the Staten Island Zoo and unfurled a proclamation that said "Spring is Coming!" NEW YORK (AP) — A former New York City mayoral aide who was quietly forced out of his job over sexual harassment allegations was fired previously for similar reasons. Montana Gov. Steve Bullock's spokeswoman says the governor thought a former senior staffer of his wouldn't harass any more women after being fired from the Democratic Governors Association. 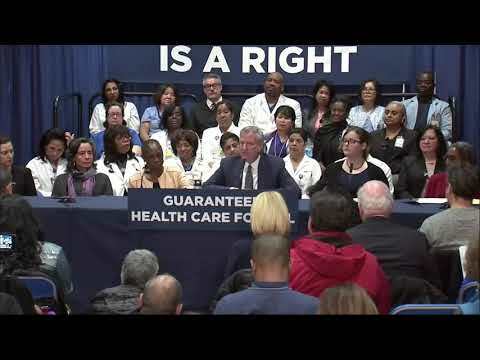 NEW YORK (AP) — New York City Mayor Bill de Blasio promised to make life better for workers, tenants, retirees, and even near-sighted first-graders in a wide-ranging State of the City speech Thursday. "Imagine a city where New Yorkers can live their lives more fully," de Blasio told a cheering audience at Symphony Space in Manhattan. "That's the quality of life I want for every New Yorker." NEW YORK (AP) — New York City Mayor Bill de Blasio vowed Wednesday to make the city the first in the country to require employers to offer paid vacation days.